and we are always glad you came! 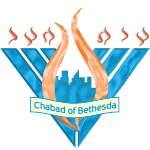 Chabad of Bethesda is much more than a community synagogue. Itis a place where Jews of all ages and backgrounds come together to celebrate, pray, share, comfort, or just shmooze. Here you are more than friends, you are part of the family!! We are never closed on the weekends or holidays! Come to Chabad for inspiring services in a friendly, non-judgemental environment. Followed by a delicious sit-down kiddush for the entire community. There is no better way to start the day! We have Shacharit services every morning of the week. Join us and become a minyanaire! Click here for the complete schedule.